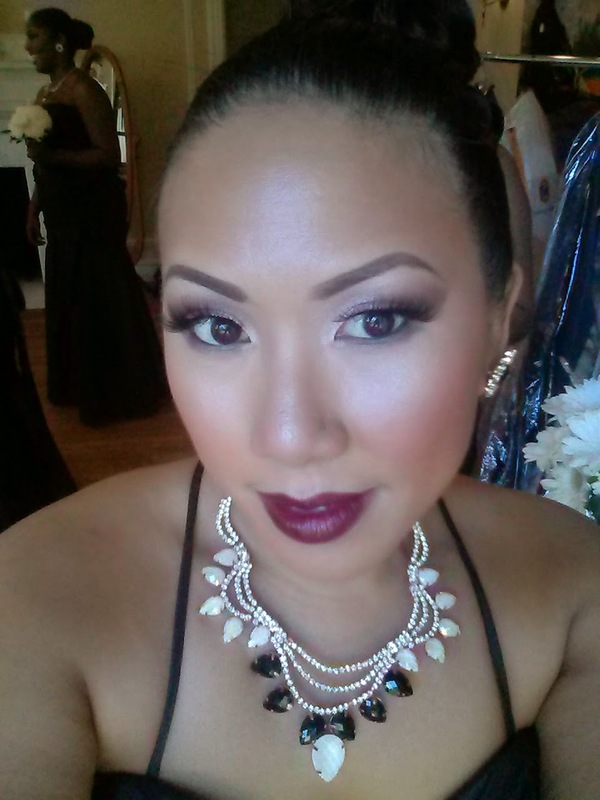 I was recently in my bestie's wedding as her maid of honor. I did my own makeup and wanted to share it with you. It's a very elegant, dramatic look that the whole party wore. Check it out! On my face I'm wearing CoverFX Total Cream Color Foundation because I can build it up to a full coverage that looks great in photos. 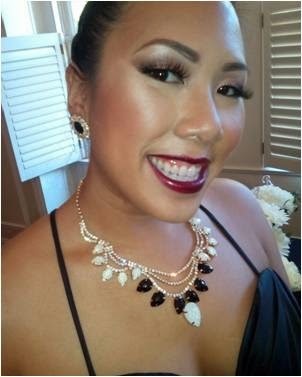 I'm also wearing my favorite Sunlight Illuminator which we used on all of the bridesmaids and even the bride for that glowy look. On my eyes, I'm wearing Ofra Cosmetics Diamonds are Forever Shadows mixed with some MAC Matte neutrals to smoke it out. On my lips I'm wearing Ben Nye Vino Lip Pencil, MAC Diva Lipstick and OCC Black Metal Dahlia Lip Tar. I can't wait to show you pictures of the bride. Stay tuned! This is such a bold and beautiful look! And the wedding seems like it was a fun one by just hearing about what the bridesmaids' makeup was. Great work again!